Bring together business with beach fun using these delightful beach umbrellas offered in a range of vivid colors. You can discuss business with people from all walks of life who see or use your custom umbrellas. Designed to look good and last long these logo umbrellas will sneak in your brand and message to a wider audience. With the advent of promotional gifts, business promotions have ceased to be bland and serious affairs that used to happen in press clubs or board rooms. When your brand gets boldly displayed on a beach umbrella, your business will get spotted by many people and not necessarily only your recipients. Ideal to reach out to every genre of audience including outdoorsy clients, family audience, fun loving adventure travelers and more, beach umbrellas will make a smart way to put your brand on a 360 degree display that too without being intrusive. Beach umbrellas enjoy a contagious charm and popularity among the fun loving audience during holidays and vacations. Your recipients will surely love the idea of getting snuggled under the massive canopy, enjoy a book or do nothing but laze- out! A beach umbrella can change the holiday fun on its head! Offered in a range of brilliant colors, custom beach umbrellas will set a perfect backdrop for your brand, artwork or message. No matter how you wish to go about it, your brand and message on these eye popping canopies will ensure a lot of attention from everyone around. 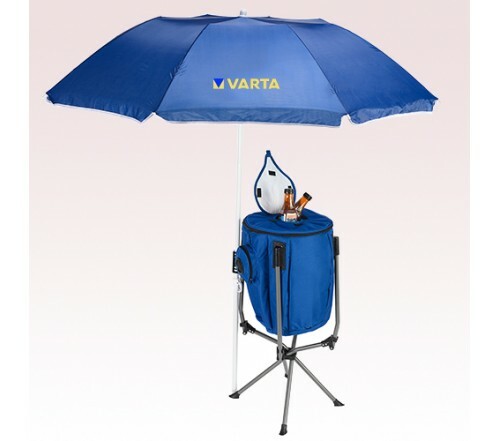 Designed to store and transport easily, beach umbrellas will ensure the much desired portability and exposure for your brand as well. 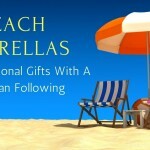 Here are some popular styles in beach umbrellas that will let you get your brand under spotlight. Beach Umbrella Sun Tent Sports Shelter Make the best use of the 8.5” polyester canopy of these attractive beach umbrellas that open out to 8.5 Ft. 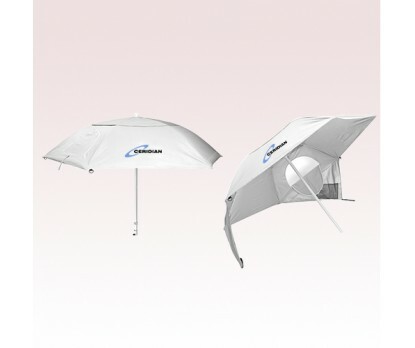 These umbrellas can be used as a sun tent, rain shelter and also as a beach umbrella. 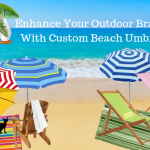 These umbrellas will make beach holiday comfortable and enjoyable as never before thanks to its features like side zippered windows and top wind vents that will ensure air flow and cooling. 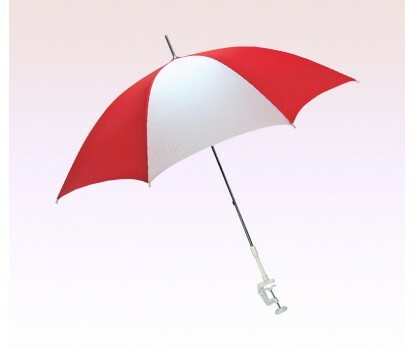 Your brand and message on these umbrellas will get a lot of attention for sure. 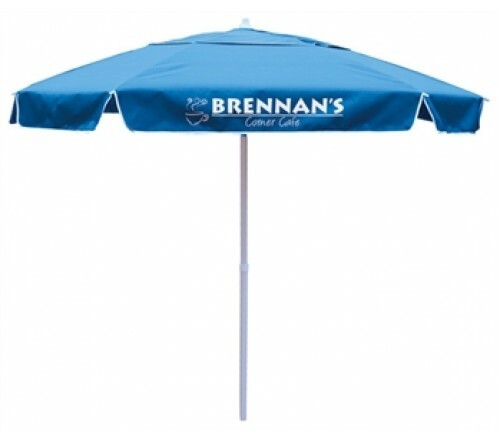 Clamp on Chair Umbrellas: These make perfect handouts to promote beach events, outdoor promotions, concerts and golf holidays among others. 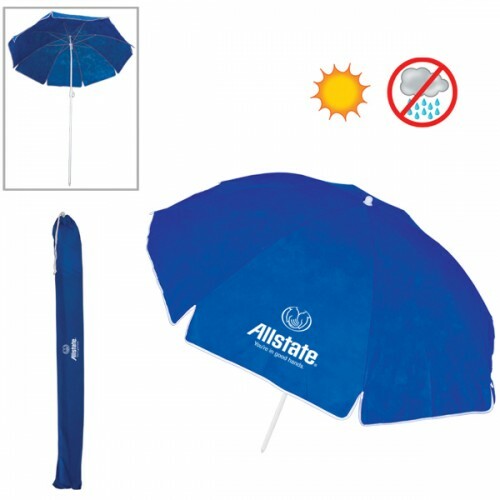 These vibrant umbrellas will make your brand information stand out easily against it. Every time your recipients group together under the shade of these umbrellas, they will engage with your brand in a fun way. 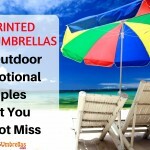 Your recipients would love to flaunt these massive umbrellas during family picnics and golf days, thereby taking your brand to a wider secondary audience. 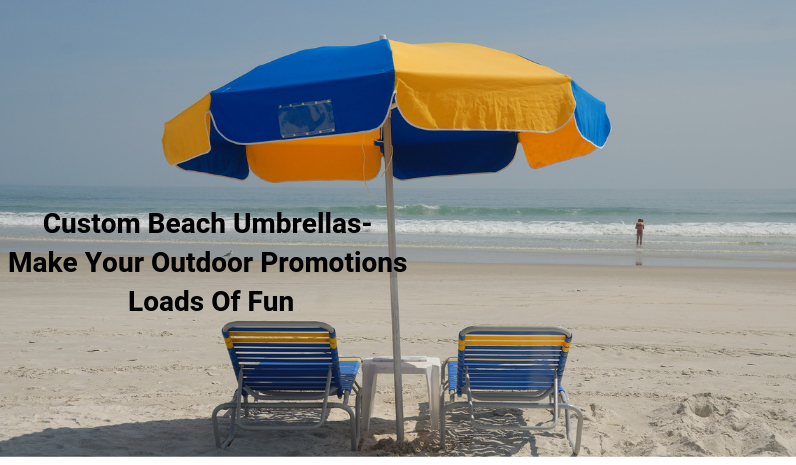 Economy Beach Umbrella: Nothing can take the fizz away from your beach promotional event when you have traffic stoppers like these polyester beach umbrellas in your marketing mix. Beach umbrellas will let the sun lovers to stake out a personal area on a crowded beach. The tilted pole of this personalized beach will let the users to keep it any position to ensure maximum sun protection. 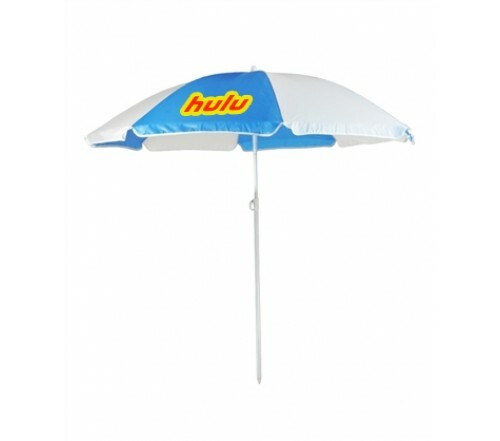 Have you been using beach umbrellas as your promotional swag? Share your experiences with us at our facebook page to join the fun of discussion.